This year we are enjoying a bumper crop and have a clear conscience as we have not harmed a single mouse, bird, snail, slug or squirrel. The solution is growing the plants in large pots, filled with beech leaf mould, and placing them high on old trestle tables in the polytunnel. 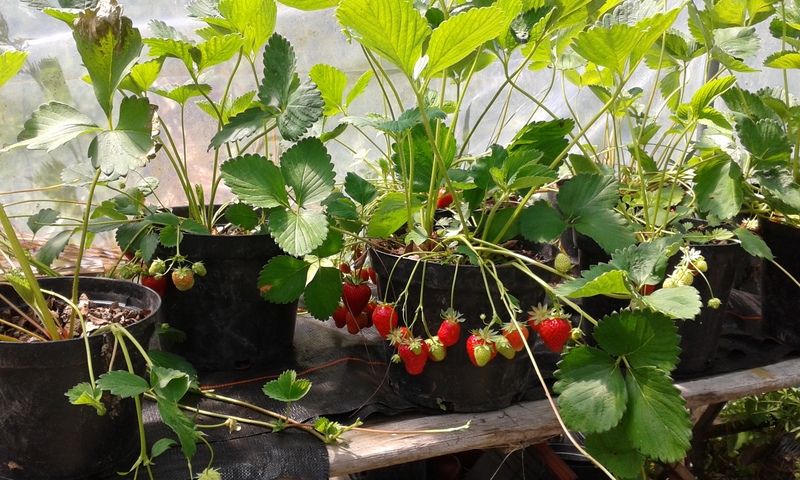 We have enjoyed and shared the strawberries and following this year’s success plans are afoot to increase the number of pots and to try and have a big enough crop to make jam next year. And our second moment of pride is that the swallows have checked out the new open sided barn and have built a nest – the first we have ever had. 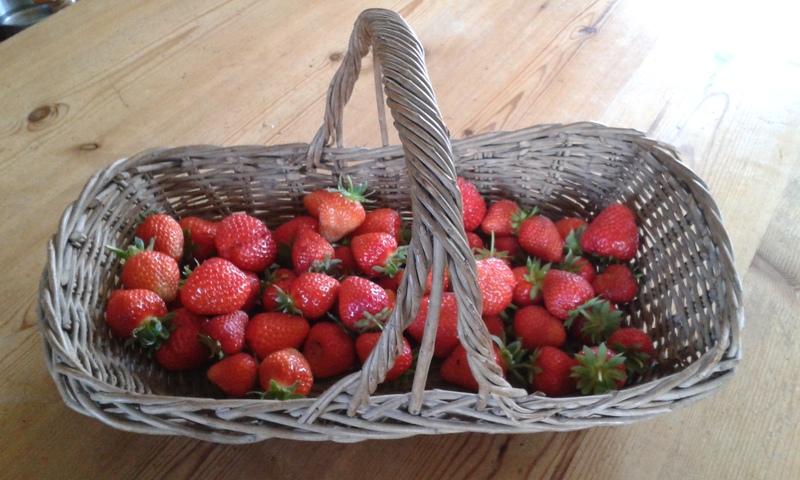 So let’s hope next year we will have a gulp of swallows as well as a glut of strawberries. This entry was posted in fruit and tagged free ranging, strawberries, summer, swallow by Free Ranging. Bookmark the permalink.